Every now an again I admit I am prone to rant on about rugby kits. Everybody has a particular bugbear and this is one of mine. 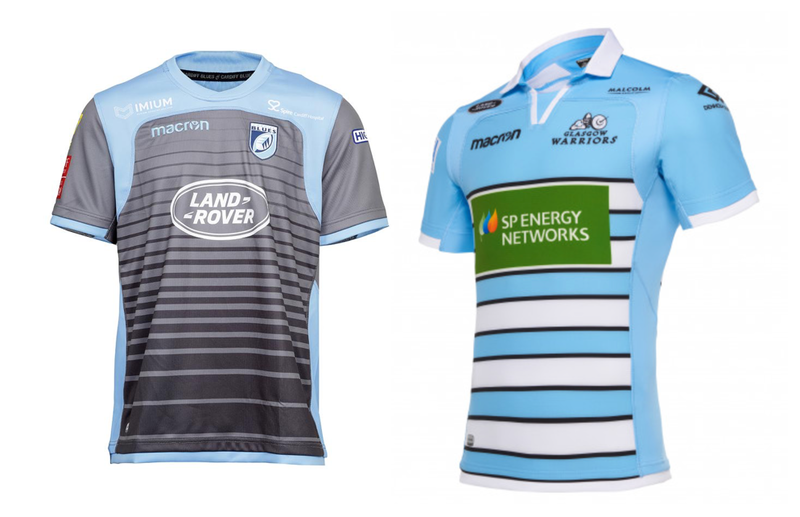 Imagine my delight therefore when presented with evidence that the world has gone officially bonkers when Cardiff Blues and Glasgow Warriors lined up for their Champions Cup fixture last week wearing more or less identical (or at least very,very similar) kits. The result, of course, was utter confusion for players, officials, spectators and the TV audience and a whole heap of post match complaints, opprobrium, blame and finger-pointing. 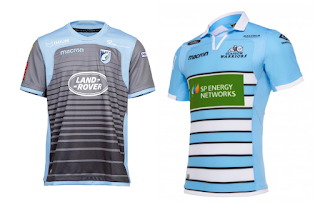 Cardiff can point to the fact that their sky blue and grey kit is their official European playing kit, while Glasgow - the away team - can justifiably explain why they were wearing their official sky blue and white away kit. Common sense, it seems, cannot prevail faced with such impenetrable logic. No colour clash, no problem. 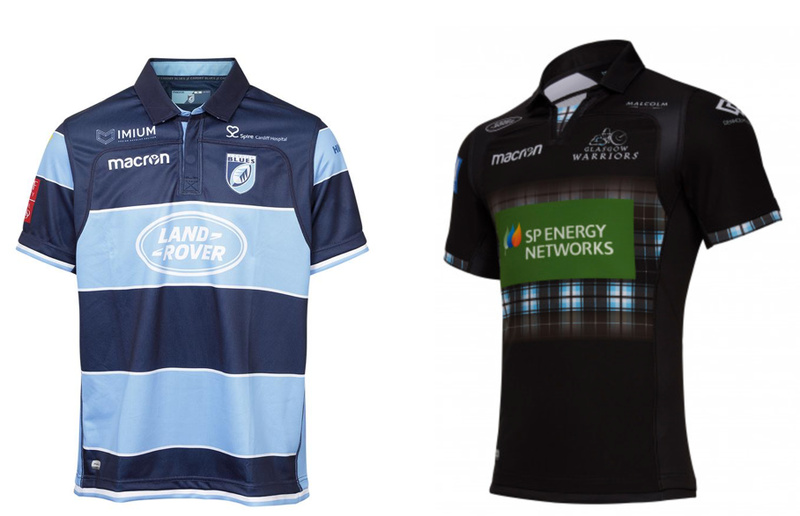 While I concede that a second kit is sometimes necessary to deal with the occasional colour clash, there is no justification whatsoever (and Cardiff are by no means the only offenders here) for a separate European version of a club's playing kit - other than, of course, a desire to coerce fans into spending more on replica shirts. I know football clubs do it, but that in itself should be enough reason for rugby not to follow down that path. There, rant over (for now).